Centralia, WA. 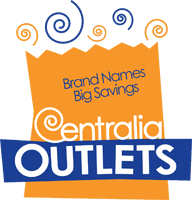 – November 6, 2008 – Centralia Outlets announces the opening of a Gymboree Outlet. The approximately 2500 square foot store is located on the west of the freeway at 1340 Lum Road. Gymboree is a specialty children’s store, which has been outfitting children since 1986. The brand’s “kid-right” clothing and accessories are designed and crafted to withstand rugged play while letting kids be kids in styles they love to wear. Available in sizes newborn to 9 years, Gymboree is designed with colorful, versatile fabrics, whimsical graphics and detailed touches. Playful, coordinating accessories complete every outfit, making Gymboree kids cute from head-to-toe. The Gymboree Outlet offers what their customers know and love about them: unique quality and style – at outlet prices. The Company currently operates approximately 96 outlet stores.